The Travel Destinations 2018 brochure is available now. It features all our events for the calendar year including the Le Mans 24 Hours & the Le Mans Classic. You can view the Travel Destinations Brochure 2018 here. The Le Mans 24 Hours dominates our year. We begin bookings the day after the race finishes in June each year, but we can still accommodate you if you haven’t booked yet. 2018 promises to be an exciting race, with the changes at the front meaning we are guaranteed a new name on the trophy. The German manufacturers of Audi and Porsche may have gone from the top class, but Toyota will remain (they may also be bringing a F1 champion with them) and they will be challenged by an exciting new brand of LMP1 privateers. The Germans haven’t left Le Mans. 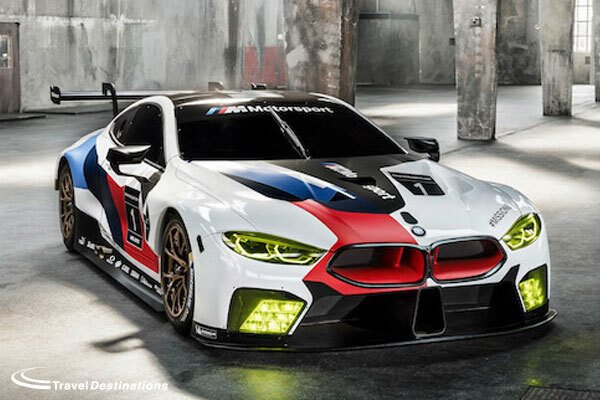 Not only will Porsche remain to contest the GTE Pro title, but they will be joined by BMW’s new M8 GTE. As if that was not enough, the British are returning to Le Mans 2018 with a brand new Aston Martin Vantage GTE. They will all be going head to head with Ford, Ferrari & Corvette for the win. What a race that will be! 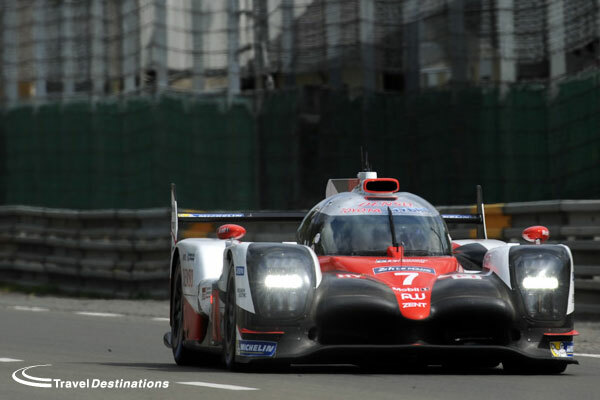 Travel Destinations are the leaders at Le Mans. Not only can we provide all the circuit-run campsites at the circuit, we are also the only company to offer a private trackside campsite with a private viewing bank! Our Porsche Curves campsite has always set the standard and it benefits from 24 hours security, fully serviced showers & toilets as well as a hospitality marquee on-site. If you can’t bring your own tent then, glamping could be the answer. Our Event Tents are unique to Travel Destinations. Located near to the Porsche Curves, these are large 5 metre diameter bell tents, complete with carpet, mattresses and all bed linen. 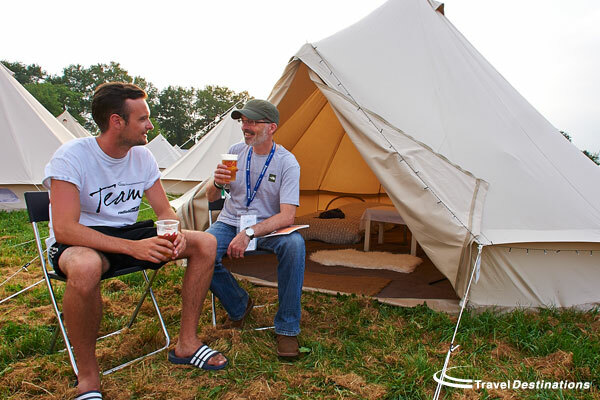 Thy can sleep up to 4 adults and benefit from their shower & toilet blocks as well as a hospitality marquee. For those that don’t like to camp, then our Flexotel Village is very popular. What could be better than having your own private bedroom in the centre of the Le Mans circuit? Each room sleeps two adults and their are options with ensuite bathrooms as well as shared showers & toilet blocks. 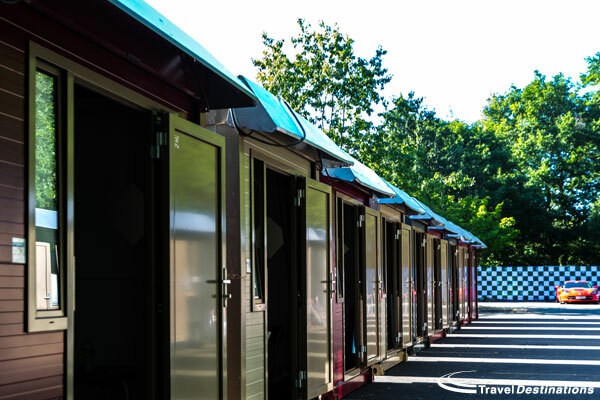 Located close to the circuit tram terminus, the Flexotel Village offers an ideal solution for those travelling light and those arriving without a car. The Le Mans Classic only happens every other year and it returns in July 2018. The Le Mans Classic sees cars that have raced at Le Mans from the 1920s through to the 1980s return to the circuit and recreate past glories. 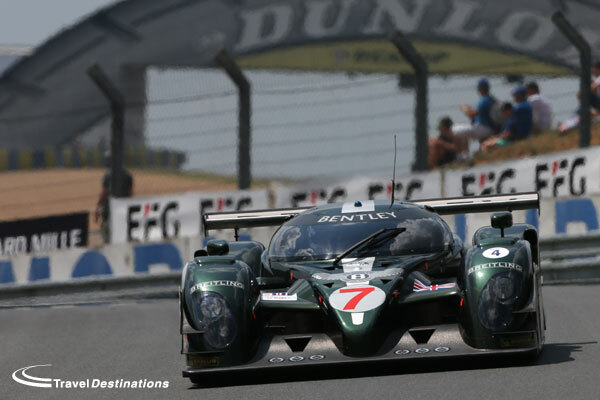 Real race cars, really racing on the full Le Mans circuit is a sight not to be missed. In addition to the action on the track there is a lot to see around it too. All our tickets include access to the paddock, where these cars from yesteryear are worked on prior to returning to the track. Elsewhere there are displays of thousands of club cars as well as boutiques and displays from manufacturers and clubs. The whole event has a retro-feel taking you back to a different era of motorsport. 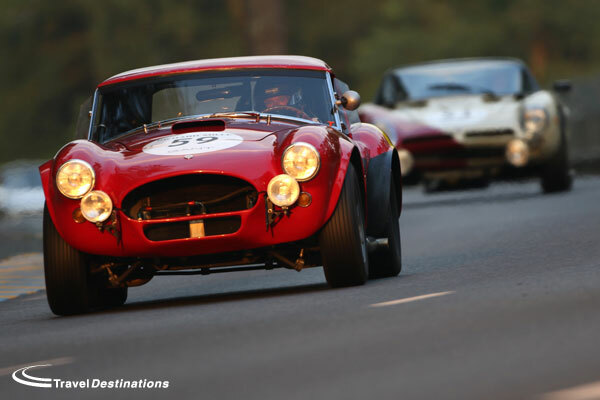 Travel Destinations offer a similar selection of offers to enable customers to stay at the circuit for the Le Mans Classic as we do for the Le Mans 24 Hours. In fact we have more, with two different private trackside camping areas for the Le Mans Classic. We also offer our Event Tents & our Flexotel Village. 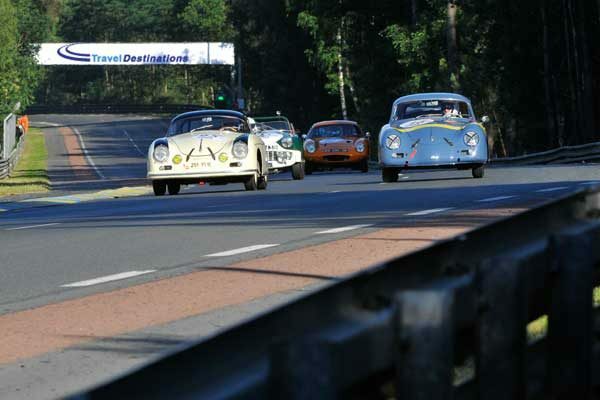 For the Le Mans Classic we also have a variety of hotels, camping and B&B properties away from the circuit for those that don’t mind travelling in each day. 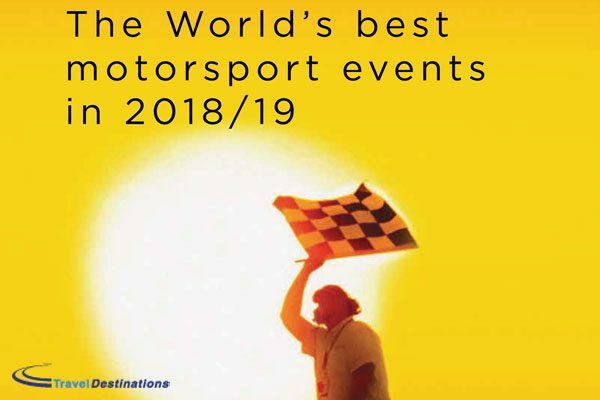 Travel Destinations will continue to be the leaders at Le Mans with both the 24 hours & the Le Mans Classic, but we are also at a variety of other events including Rolex 24 at Daytona, 12 Hours of Sebring, Nurburgring 24 Hours and the Spa Classic to name just a few. Why not download our brochure and start making your 2018 plans now? Everyone enjoys reliving past glories. The Le Mans Classic 2018 gives everyone that opportunity over and over again, across a weekend of historic racing on the traditional full Le Mans circuit. With 24 hours of racing, split in to 6 different grids, representing 6 different eras, from the 1920s to the 1970s, there truly is something for everyone to enjoy at the Le Mans Classic. With the addition of Group C cars as a further invited grid, the Le Mans Classic now brings the action on track through until the 1980s. The Le Mans Classic isn’t just about the on-track action either. There is always plenty to occupy you away from the circuit. The infield around the Bugatti circuit is turned in to Europe’s largest car club car park across the weekend. At the last event in 2016 more than 8000 classic & sports cars filled the club parking areas within the circuit. Elsewhere there are featured displays, a car auction, shops and eateries all reflecting an historic motorsport theme. The Le Mans Classic returns from the 6th – 8th July 2018. 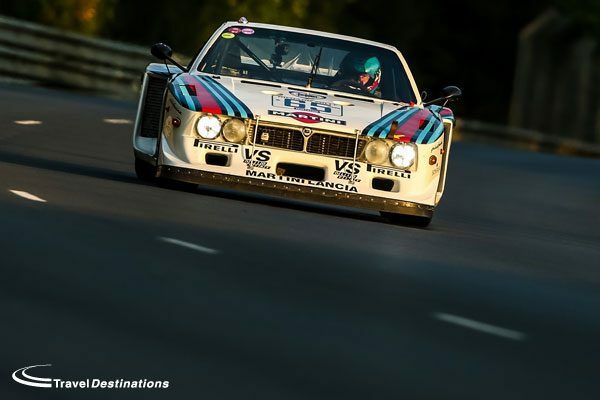 As an official agent for the Le Mans Classic, Travel Destinations have a large presence at the circuit. There are two private trackside campsites to choose from; One on the Porsche Curves & the other on the inside of the Tertre Rouge corner, called Hunaudieres. These areas are ideal for people bringing their own tents and are hugely popular due to their superior facilities & trackside locations. 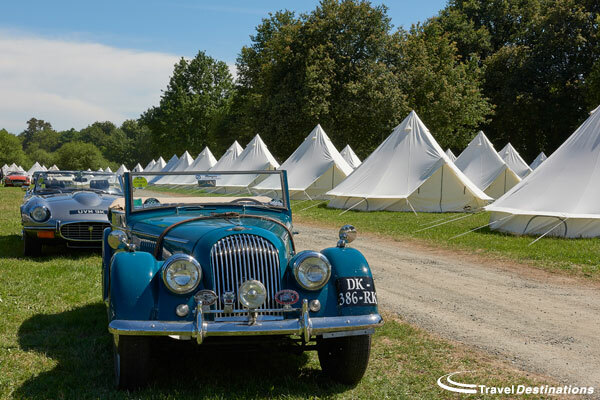 Similar to the Le Mans 24 Hours, glamping in the Travel Destinations Event Tents is also available. Located on the inside of the Porsche Curves, these pre-erected tents can sleep between 2 and 4 people and provide some comfort & security in the centre of the circuit. These are ideal for those travelling in sports cars without much room for their own camping equipment. The Travel Destinations Flexotel Village is equally popular. 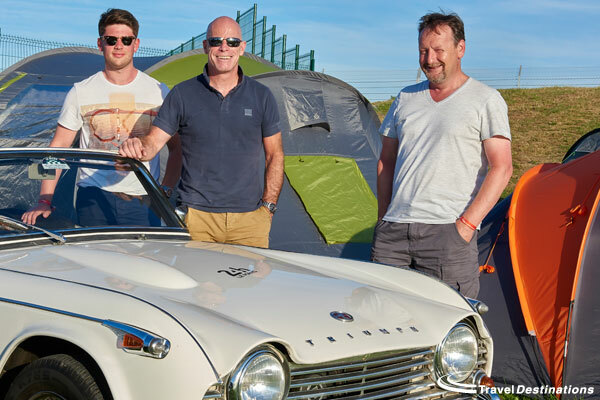 Home to the Morgan Sports Car Club, this pop-up hotel provides lockable bedrooms in the centre of the circuit. With ample secure parking and superior facilities, it is possible to stay here and walk to everything on the circuit. There are standard and ensuite rooms available to choose from and as in previous years this is expected to sell out for the Le Mans Classic. For those wishing to stay away from the circuit we also have a number of hotel rooms in Le Mans town, as well as bed & breakfast options or camping options. All are within are short drive of the circuit and ideal for those wanting to relax away from the circuit during their stay. All Travel Destinations offers for the Le Mans Classic 2018 include entrance tickets and paddock access, as we believe that walking around the paddock & getting close to the cars is crucial to enjoying the Le Mans Classic. It is also possible to add grandstand seats as an optional extra for those that want a better view of the action. It is possible to book your place at the Le Mans Classic 2018 now. Prices are available on this website and it you can reserve your Le Mans Classic tickets and travel with a small deposit. Please call our reservations team now on 0844 873 0203 to discuss the best options for you at the Le Mans Classic 2018. At a press conference in Paris last night, Peter Auto, the organisation behind the Le Mans Classic, confirmed the dates for the next Le Mans Classic. The 8th – 10th July 2016 will see the famous Le Mans circuit host the most anticipated motorsport retrospective event in Europe. 2016 will see the 8th running of this prestigious event. More than 110,000 spectators watched the last running of the event in 2014, and it is anticpated that 2016 will see an increase in that number. The Le Mans Classic features cars that raced at Le Mans between 1923 and 1979 & a strict scrutineering process means that only past Le Mans entrants are able to compete. Divided in to 6 grids the cars race throughout the traditional 24 hours, with all cars racing both in the day and at night. Despite the age of the machinery taking part, these are not demonstration laps. All cars will be raced to win and gain the top step on the podium. Travel Destinations have been the largest travel, ticket and accommodation supplier since its inception. 2016 will be no different. We already have a number of our products on sale via this website, including our on circuit options for those wanting to stay close to the action. 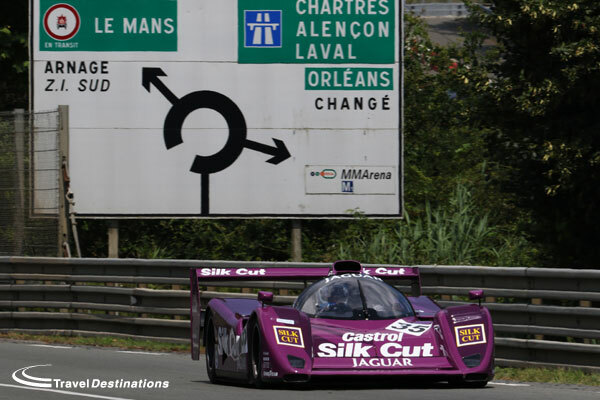 Travel Destinations will have 2 private trackside camping areas for the Le Mans Classic in 2016. Our Hunaudieres campsite is located on the inside of the Tertre Rouge corner. Our Porsche Curves campsite is also trackside South of the start/finish straight. For those not wanting to pitch their own tent, then our Event Tents will proved a more luxurious option. This glamping option provides large bell tents with carpets, mattresses and all bedding. With tables and chairs also in the tent you can arrive in your classic or sports car and not worry about space. If camping is not your thing, then we also have our Fleoxtel Village in the centre of the circuit. These pop-up hotel style cabins, provide private lockable bedrooms right next to your car. With proper beds and all bedlinen in a convenient location this accommodation solution has always been popular. Finally we also have our hotels and camping options off circuit so that those that wish to stay off circuit also have a number of options. 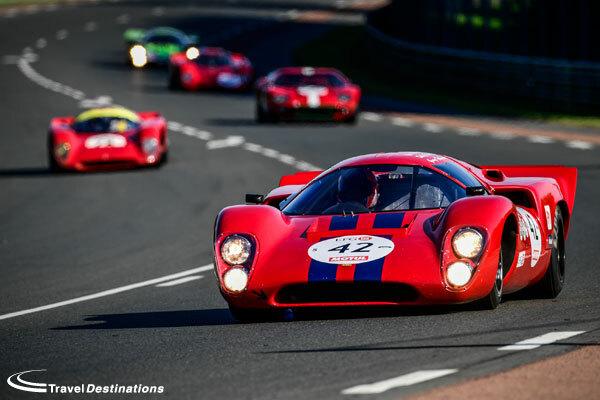 Hotel rooms for the Le Mans Classic will always be in high demand so it is advisable to book early. 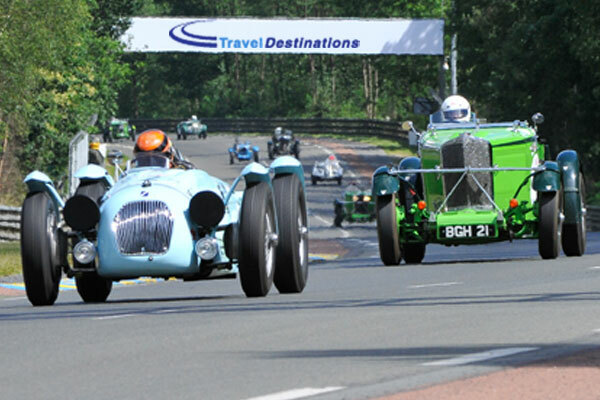 Most prices are already available on this website & our reservations are now open for the Le Mans Classic 2016. To reserve your place please call us on 0844 873 0203 (UK) or +44 1707 329988 (International). The Le Mans Classic 2016 promises to be bigger and better than ever, so make sure you are there to be part of it!